Am posting another of his movies, this one is a change of pace from what he has been known for, "Heroic Bloodshed". 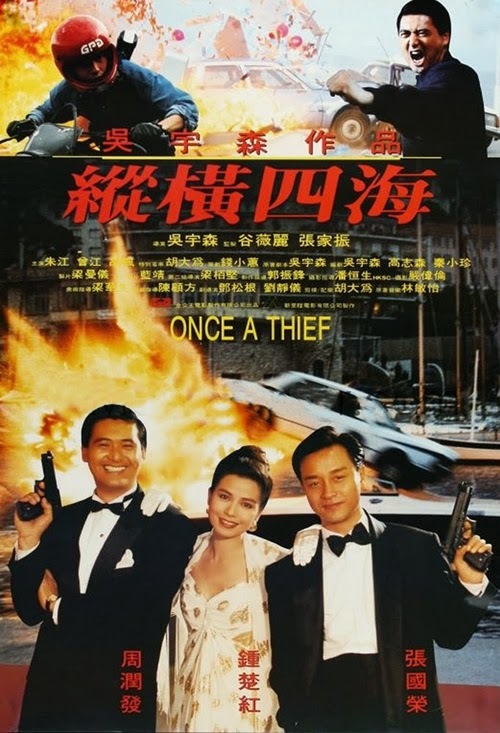 Chow is one action star who can act and can do drama, action, or comedy as you will see from Once A Thief. Check out the Trivia below, it may surprise you about John Woo/Chow Yun-fat's earlier collaborations! John Woo chose to do this film because he wanted to do something more light-hearted after The Killer (1989) and Bullet in the Head (1990) (which flopped in Hong Kong on their initial releases). The strategy seems to have paid off; the movie was successful in Hong Kong and allowed Woo to get funding for his next movie, Hard Boiled (1992). The time elapsed between the first day of shooting and the first public screening of the finished film was ten weeks.